Leaders of B.C. First Nations and environmental activists gathered in Vancouver on Tuesday morning to slam the federal review process for the Trans Mountain pipeline expansion project. B.C. First Nations leaders and environmental activists gathered in Vancouver on Tuesday morning to slam the federal review process for the Trans Mountain pipeline expansion project. 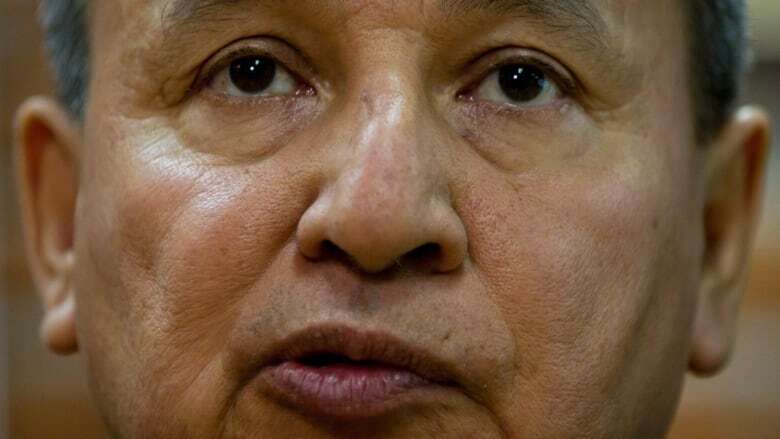 Grand Chief Stewart Phillip, president of the Union of B.C. Indian Chiefs, said he was "astounded" by the new process for reviewing the $7.4-billion proposal after a federal court quashed Ottawa's earlier approval. "It's more flawed than the process we fought so hard against," Phillip told reporters. Last month, the federal government gave the National Energy Board 22 weeks to review the project to consider the impact on the marine environment, after an August decision from the Federal Court of Appeal. Since then, the NEB has given the company and key federal government departments until the end of the month to present evidence. Indigenous and environmental groups, as well as industry stakeholders, will have until Nov. 20 to file their submissions. Phillip and other leaders who spoke Tuesday said that timeline is too short, and the scope of the review too narrow, to adequately consider the impact of the project. The review will only consider the impact of tanker traffic within 12 nautical miles (22 kilometres) of the B.C. coastline, and it will not cover the effects on climate. Phillip said he cannot imagine supporting the pipeline project under any circumstances, because of the potential impacts on the climate that would come from more extraction and consumption of Alberta's oil and gas reserves. "This project has always been a real stinker from the very beginning," he said. Phillip pointed to the record-setting wildfires that have devastated the province for two years in a row and the prolonged drought conditions plaguing north and central B.C. as the consequences of excessive burning of fossil fuels. "Global warming, climate change, is not something that is imminent. It is here now," he said. He was joined by representatives of the Squamish Nation and Coldwater Indian Band, along with representatives of the environmental groups Stand.Earth and West Coast Environmental Law. Chief Lee Spahan of the Coldwater Indian Band and Squamish Nation Coun. Khelsilem Rivers both said their nations will continue to fight the project. Rivers said the parameters for the new review show that Prime Minister Justin Trudeau isn't truly committed to reconciliation. "We want a fair process, and we want a process that is based on science. I don't know what science allows for such a short timeline," he said. Vancouver mayor-elect Kennedy Stewart was on the schedule to speak Tuesday morning, but he did not appear because of a scheduling conflict. 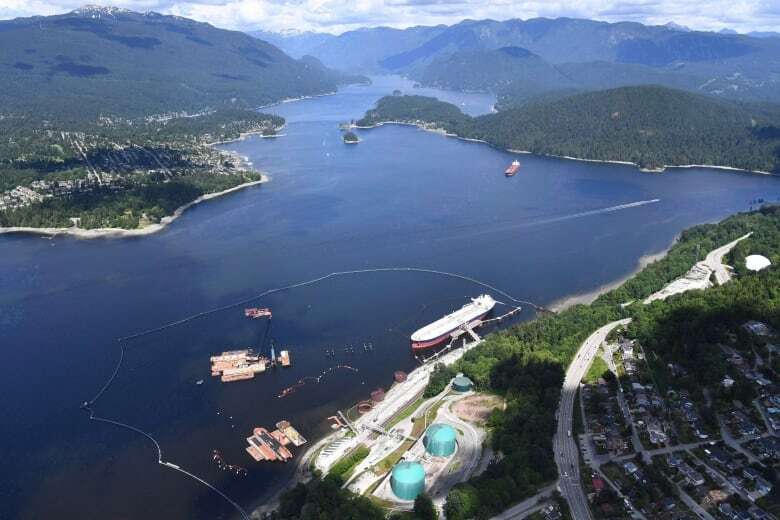 In its Aug. 30 decision, the federal appeals court said that during the initial approval process, not enough attention was paid to how increased tanker traffic off British Columbia's coastline would affect the environment. The panel of judges also said Canada's efforts to meaningfully consult with Indigenous people, as required by law, fell short. If the project goes ahead, it would nearly triple the flow of oil from Alberta to the coast of B.C.